Not Just Cricket, IPL Means Quality Family Time For SRK And His Kids. These Pics Are A Proof! AbRam and Suhana Khan are two of the most consistent cricket-watching partners for superstar Shah Rukh Khan. We have often see the trio cheer and root for their favorite team during matches. And when it comes to supporting their own team Kolkata Knight Riders, how can the enthusiasm be not double? 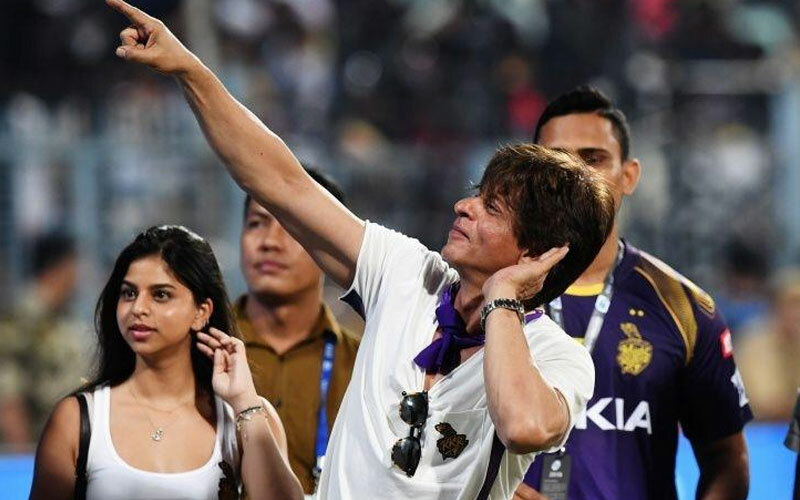 Well, that's exactly what the sight was like at the VIP box of Eden Gardens, Kolkata, where the Khan's were spotted with Sanjay Kapoor and his family, while they all rooted for their IPL team Kolkata Knight Riders who was playing against Virat Kohli’s team Royal Challengers Bangalore. SRK's team registered the victory and the sight turned into a mini-celebratory party with SRK goofing around his kids Suhana and AbRam. Gauri too was there. Suhana was also seen with her best friend Shanaya Kapoor, daughter of Sanjay and Maheep Kapoor. But out of all the match-highlights, the best sight was seen Daddy Khan in full-form while spending time with his kids Suhana and AbRam. They looked cheerful as they saw their team win!